The compact design begins with a ¼" input and thru-put to feed the on-stage amp. 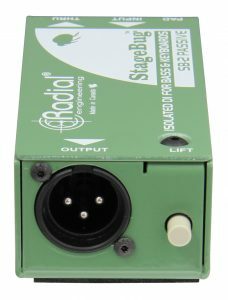 This connects to the custom made Eclipse ET-DB3 transformer which performs the impedance matching and balances the signal. When using extra high output instruments, a -15dB pad can be inserted into the signal path. 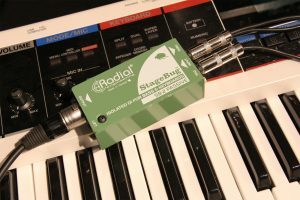 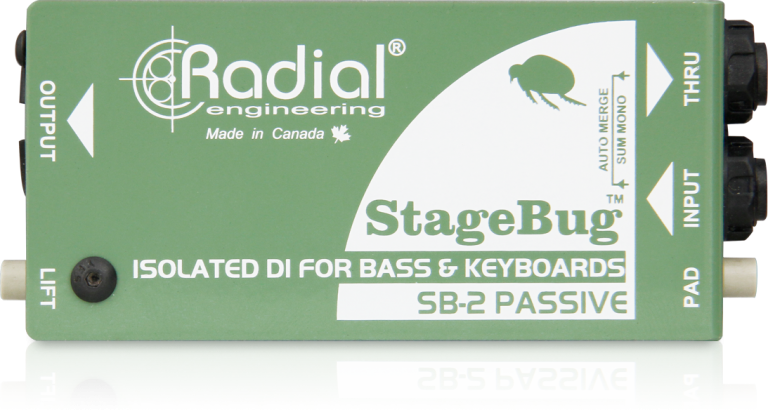 This enables the SB-2 to be used with active basses and digital pianos that often tend to overload the input side of the interface. 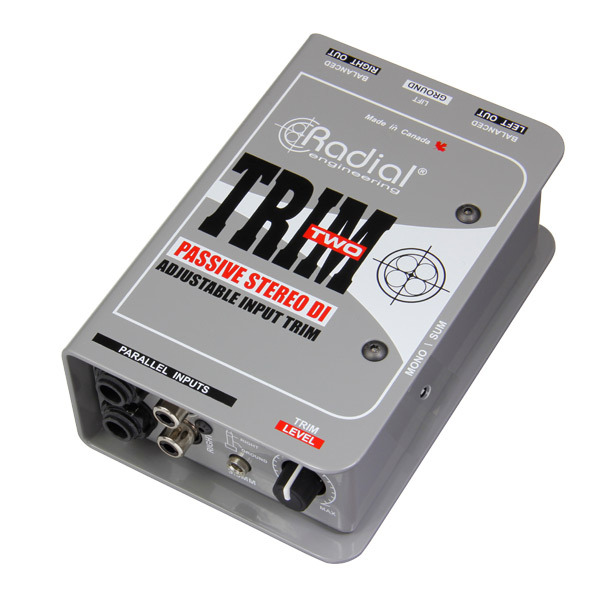 An innovative stereo-to-mono merge function provides a convenient way to connect stereo keyboards and computers without having to reset the source for mono operation, saving time and input channels on the PA. 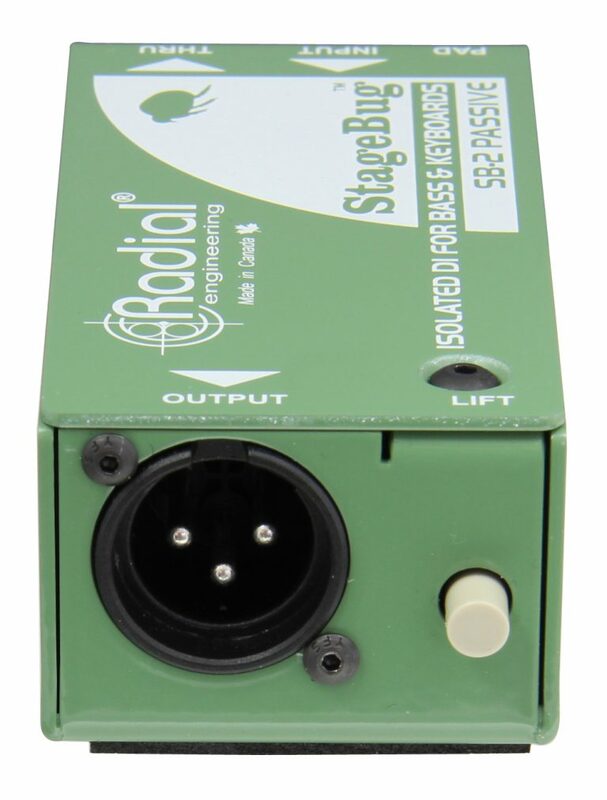 The SB-2 output features an XLR wired to the AES standard with pin-2 hot. 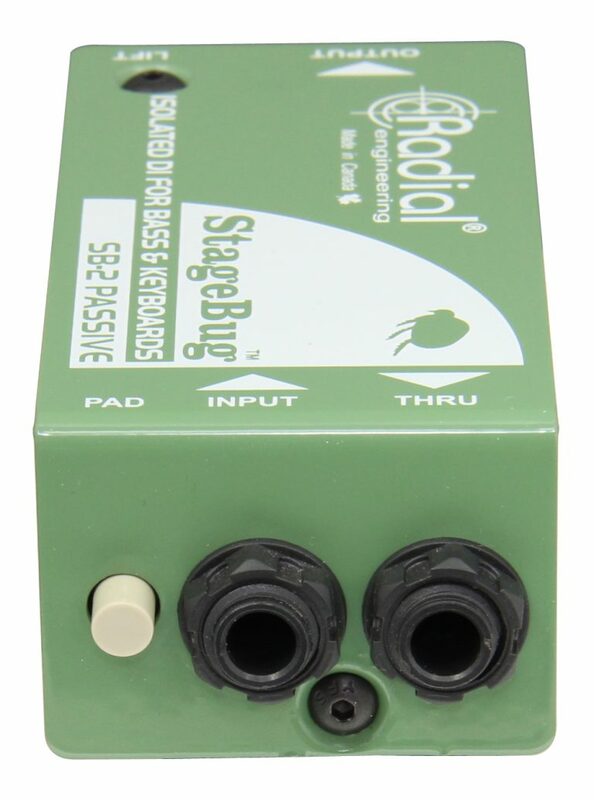 Once connected, the SB-2 delivers a smooth warm sound reminiscent of older vintage gear. The Eclipse ET-DB3 transformer is magical in its ability to handle extreme signal levels with a natural compression that is pleasing to the ears. 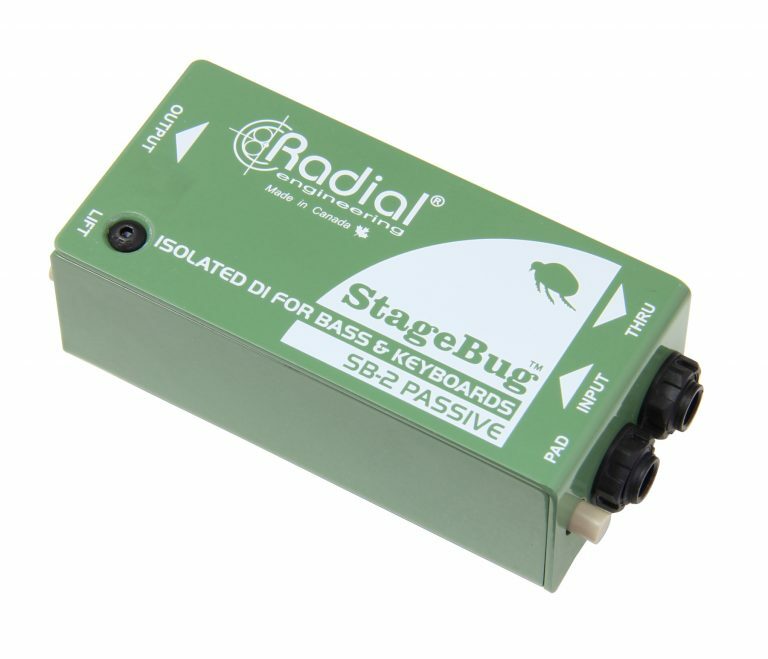 The transformer also helps eliminate hum and buzz caused by ground loops by isolating the input from the output. 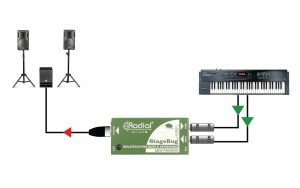 This is augmented with a ground lift switch that lifts pin-1 on the XLR for quiet, professional results. 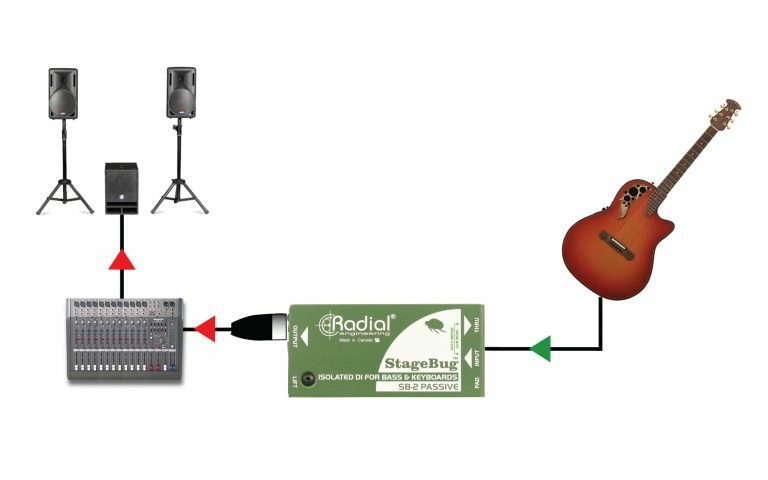 Plug your acoustic guitar into the SB-2 Passive and it will smooth out the peaks and warm up your tone with a vintage vibe. 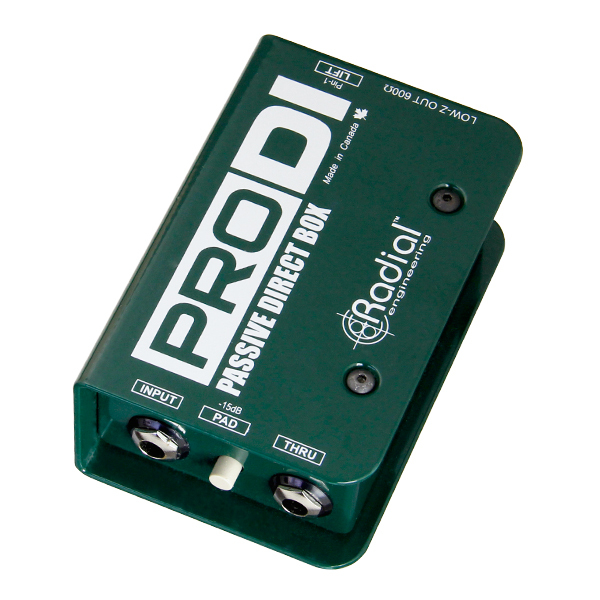 The compact design makes it perfect for traveling between gigs. 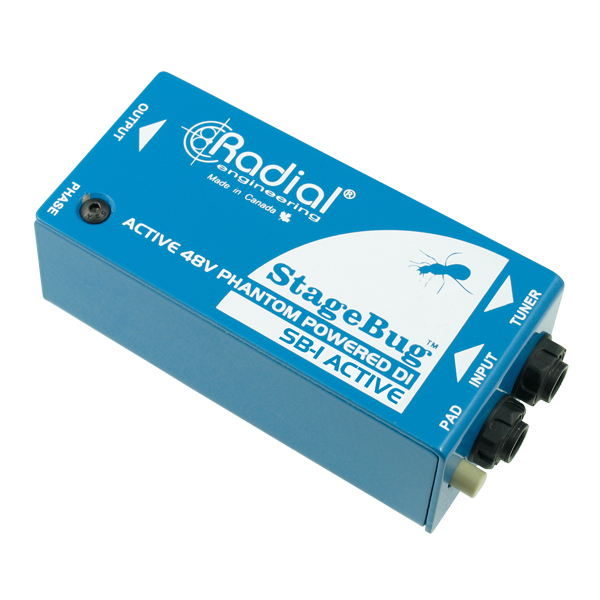 Connect your bass to the StageBug SB-2; send the thru signal to your amp and the output to the PA system. Transformer isolation eliminates nasty hum and buzz caused by ground loops. 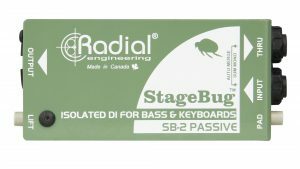 The Passive SB-2 is a perfect go-to direct box when you need to take the output from a keyboard and send it to the PA system. 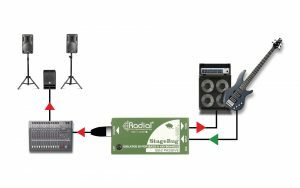 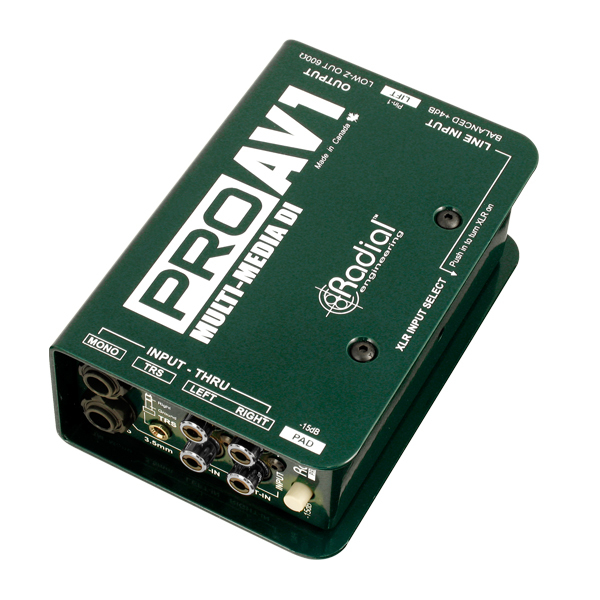 Input and thru jacks automatically merge the stereo signal to mono to save channels while the SB-2 balances the signal to drive distances of 100 meters (300 feet) without noise!